Listen to Canadian Pinoy Radio-Montreal Live Online Streaming. 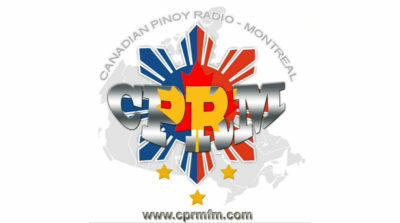 CPRM is a Canadian-Filipino Radio on the Internet, created here in the heart of Montreal, province of Quebec. It is created to give entertainment and connect Filipino people, family, relatives and friends around the world through Music. People who were miles away from their loved ones due to work or for any other reasons, hearing every day to foreign language make immigrants and foreign workers more hungry of their very own music. The Home of the Original Pilipino Music.